Products are articles, that can be elected for the invoice. 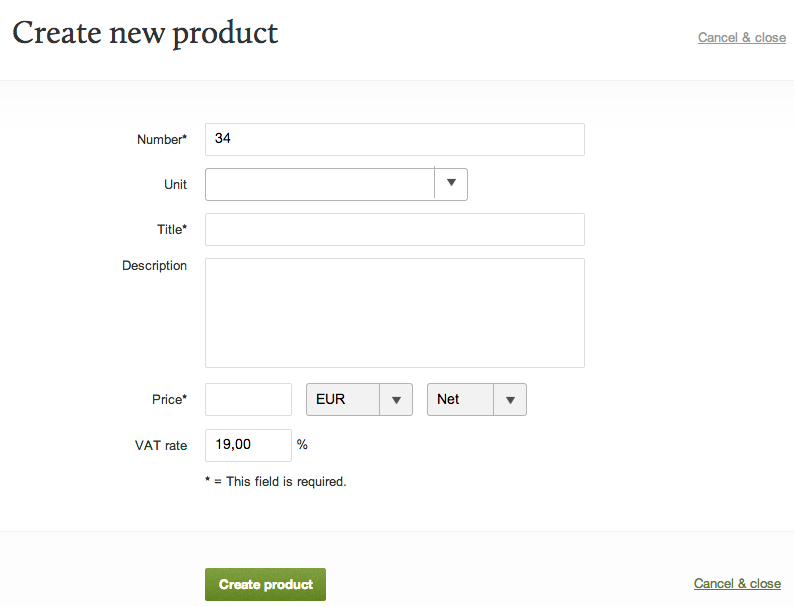 Products can have a product number, title, item, description and price. Services are products with the item "Hour". You can use these with time entry creation. You can find products in Account settings |Services/products. How can I create an invoice with gross-values?